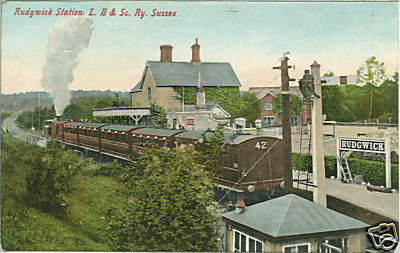 The project began as The Horsham to Guildford Direct Railway Company (H&GDRC), but the London, Brighton and South Coast Railway Company (LB&SCR) obtained the right to run the traffic over the line in return for not opposing it, and took over the company in 1862. 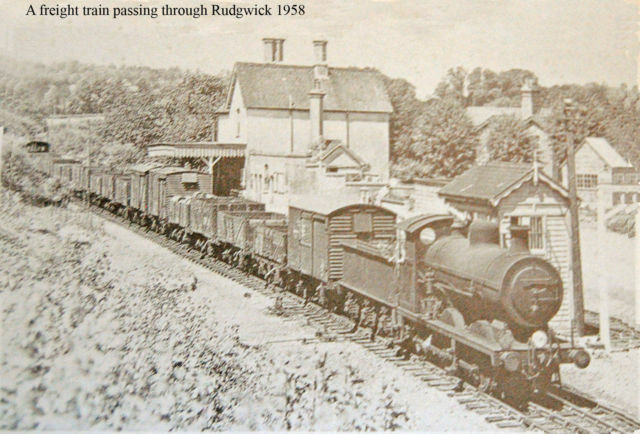 The railway came to Rudgwick in 1865, and closed in 1965, just weeks short of its centenery. it was a lifeline for farmers, and also for potential landowners who soon built or gentrified existing country properties, many shown elsewhere in the Gallery. 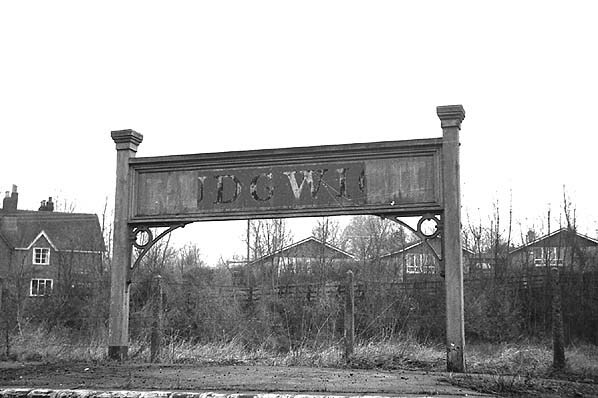 Coal was a particular commodity, with a large coalyard business soon established next door by Edward Botting, succeeded later by William Francis. 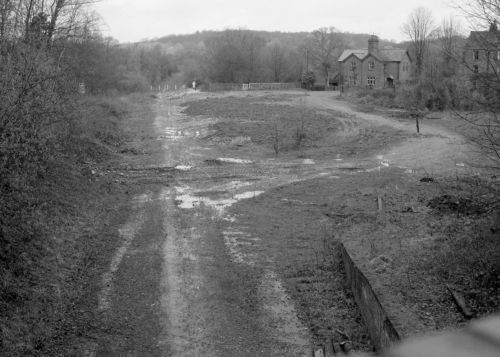 The line succeeded in killing off the Wey & Arun Canal, but was itself never very profitable, so by the 1950s and 60s it was inevitable that closure under the ‘Beeching Axe’ would happen. 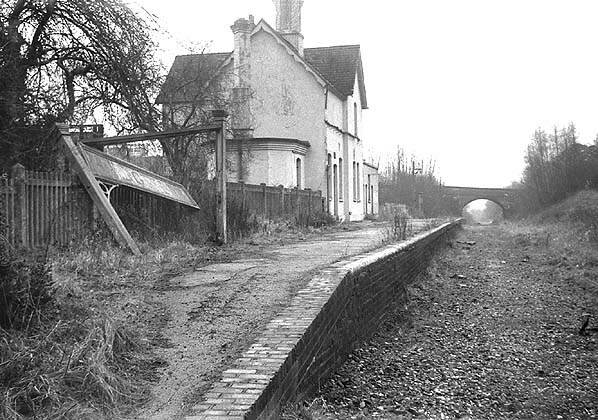 Rudgwick Station opened several weeks after the line opened on 2 Oct 1865, because of gradient problems highlighted by the inspector, Col Yolland, which led to the raising of the bridge over the Arun by 10 ft to a two-tier bridge – now the logo of the Downs Link long-distance path which has replaced the railway. 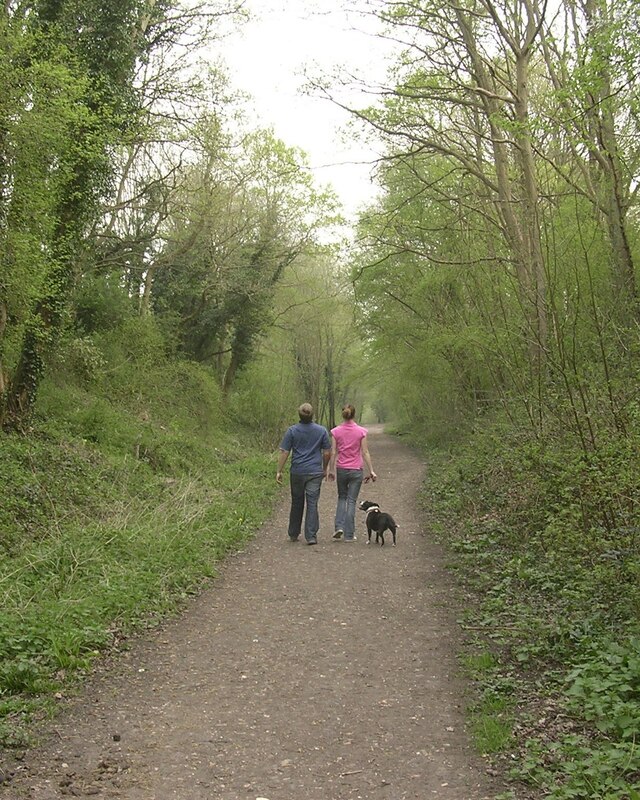 It is now possible to walk, cycle or ride to Guildford or to Shoreham. 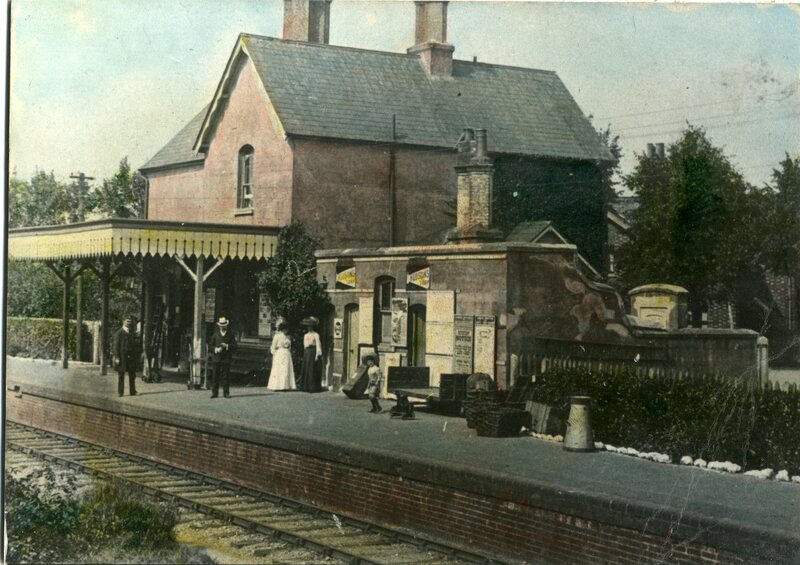 Rudgwick Station opened on 1st November, with a feast provided by James Braby, son of the promoter. 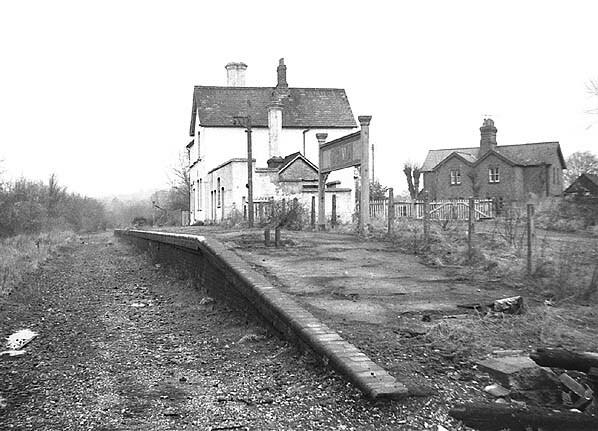 His father, Rudgwick landowner James Braby (Maybanks, Cox Green), over whose land most of the line ran, was an LB&SCR shareholder (we know his son was), and an enthusiastic supporter, and builder of the Martlet Hotel and cottages by the station. 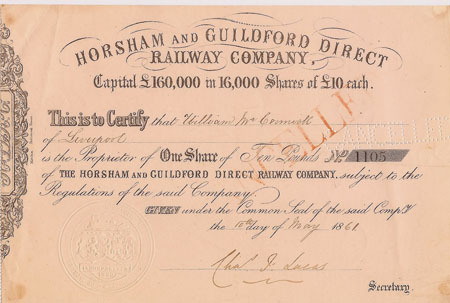 Braby, Thomas Child, timber merchant of Slinfold, and William McCormick, an Irish railway contractor, were the promoters of the line in the Horsham and Guildford Direct Railway Act, 1860. However, Braby never lived to see its fruition. He died on 3 August 1865. 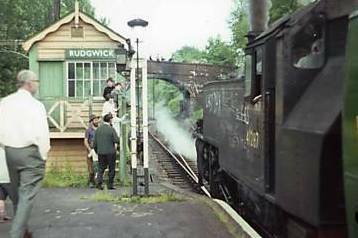 Rev Thurlow at Baynards Park, north of Rudgwick was also in favour, so long as he got a station for his estate at Baynards. 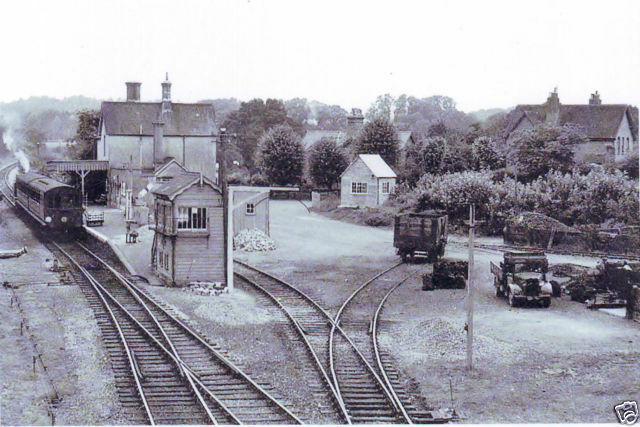 He also built a hotel, now Baynards Manor, and dictated the location of the station. 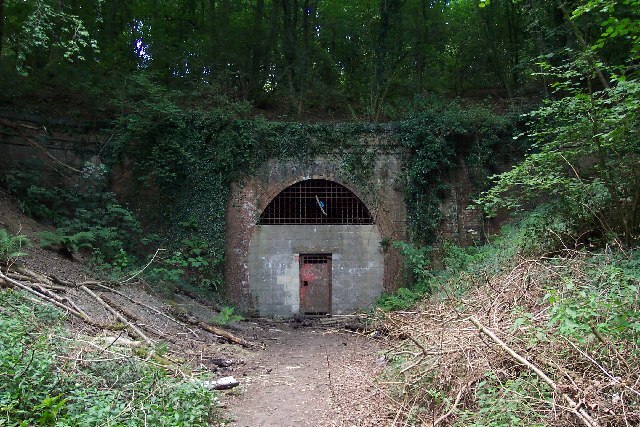 In between the two estates a 381 yd long tunnel had to be constructed through the ridge, across the county boundary, now closed and home to protected bats. 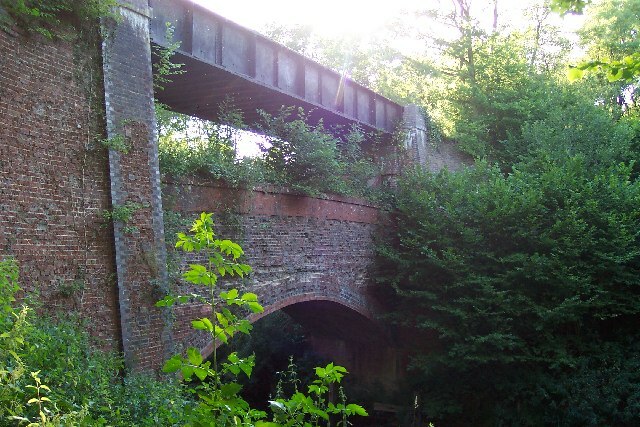 The engineers of the project were Thomas Oliver of Thomas Oliver & Sons Ltd of Derby, and Edward Woods. Oliver had already completed numerous projects in the north. 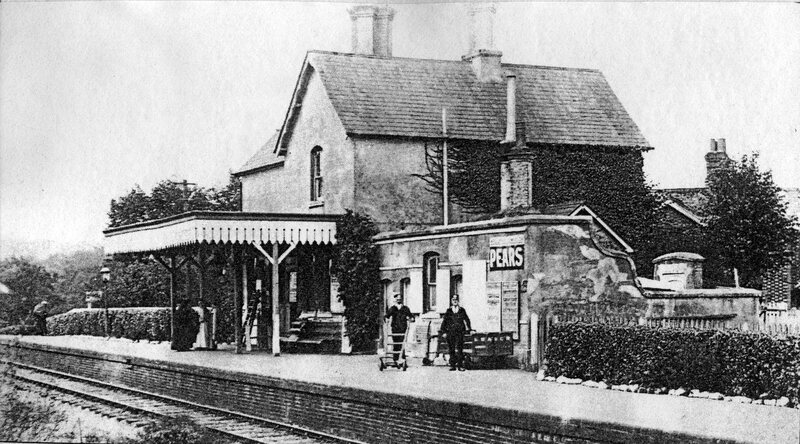 He and Edwards had come south to design the Petworth- Midhurst line completed 1859, so they were well placed to work on this line, and indeed Oliver moved his family to Horsham in 1857. 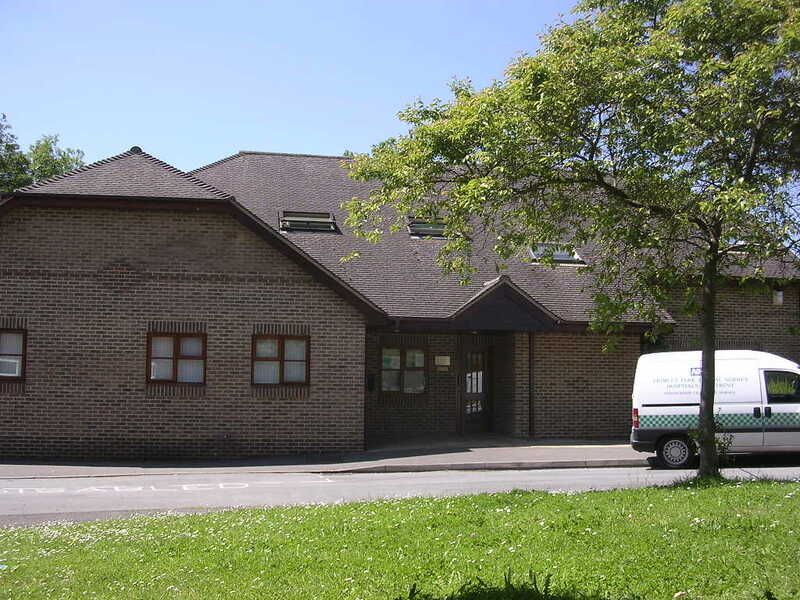 He subsequently had Tanbridge House, Horsham built and lived there until his death in 1920, after which the house was bought by WSCC for the new Horsham High School for Girls. Edwards, a Londoner, had first worked on the Liverpool to Manchester Railway. He later became President of the Institution of Civil Engineers, 1886-7. McCormick was one of two contractors who built the line. He too had been in Liverpool in 1851. 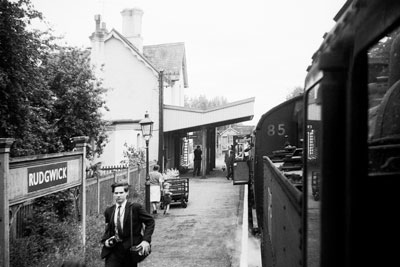 Trains took 50 minutes to traverse the route, with six trains (some say 8) a day from the start. 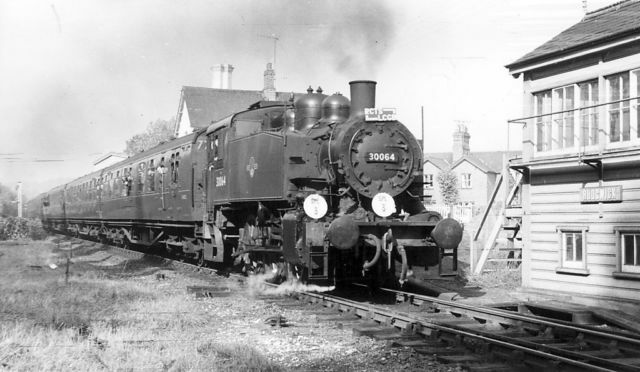 By the 1950s there were eight a day, but by then freight traffic had dwindled to very little. 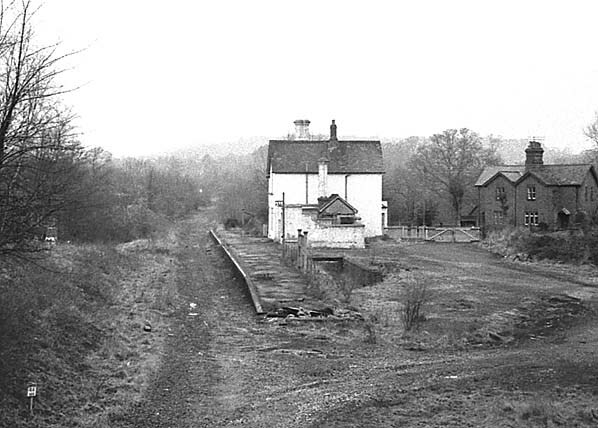 The line closed 14 June 1965. 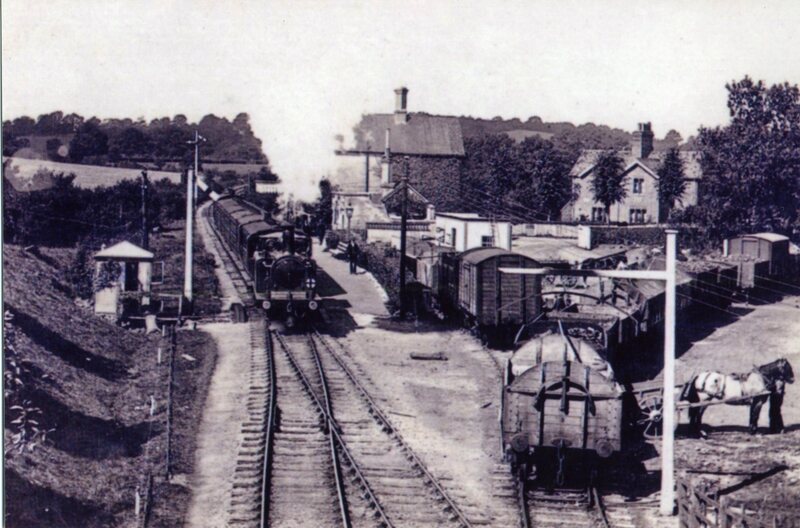 ‘A train just in’, at the Martlet Hotel, opened before the railway, offered to let in 1864, first named Travellers’ Inn or Railway Inn, depending on source. ‘Martlet’ must certainly refer to James Braby’s arms, Sussex martlets, as he had it built. 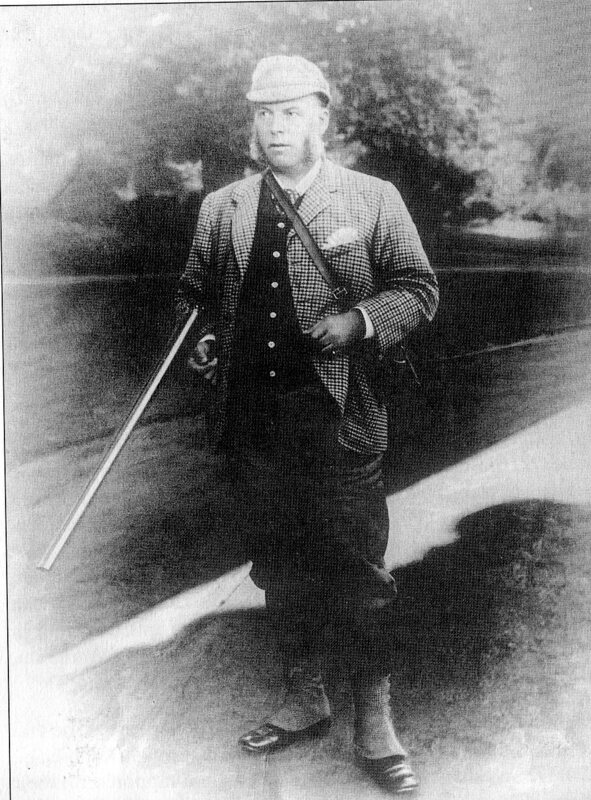 The fly proprieter, George Standing lived across the road at Dale Cottage. 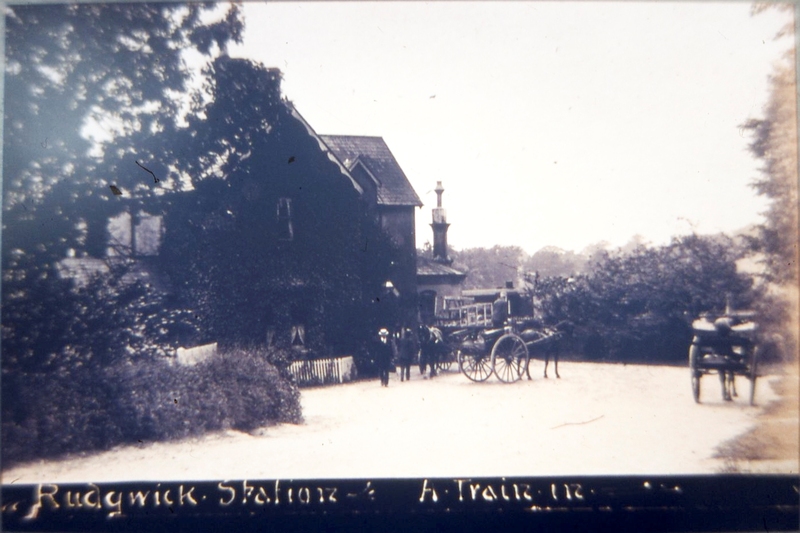 Probable Edwardian photo. 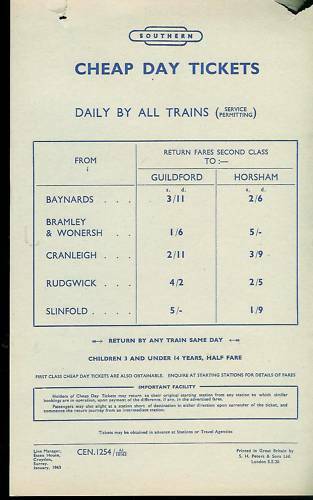 Many different tickets were available – 1st, 2nd, 3rd class, Privilege 1st, dog, luggage, platform etc. 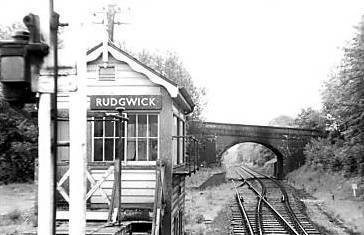 The Rudgwick (southern) entrance to Baynards Tunnel. The Downs Link by-passes this over the hill. 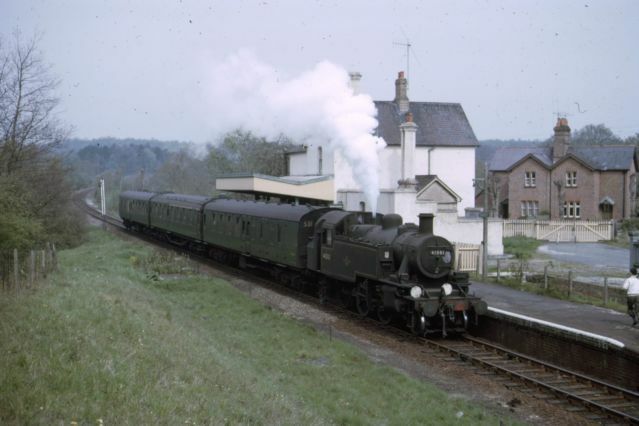 Hi, I lived a stones throw away from Baynards Station ( up the lane a tad…in part of Baynards Manor nearest the station) way back in 1967-70 as a boy. 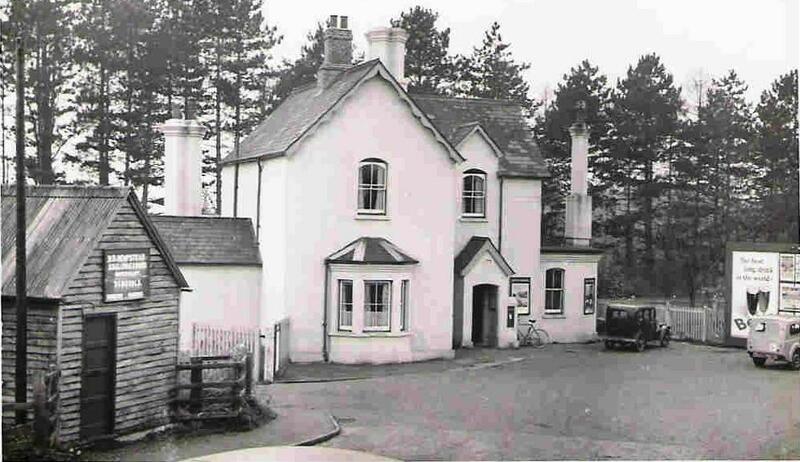 The ‘Thurlow Arms’ as I remember (didn’t function as a pub/hotel at that time) and the couple that lived there then bred champion dogs (Mr and Mrs Thorne…don’t know what became of them although I believe Terry Thorne was a judge at Crufts) Baynards Station and the tunnel were regular playtime haunts of mine (the tunnel wasn’t sealed then so used to scare myself silly walking as far as I dared…which wasn’t far!) 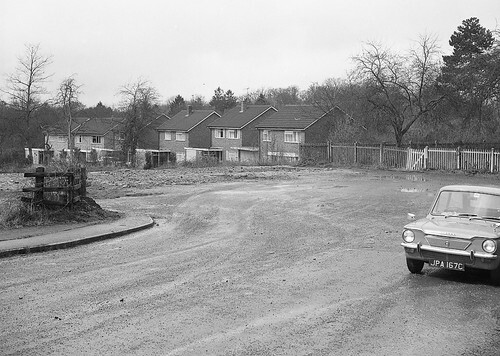 ‘Lawns Cottages’ wasn’t far from where I stayed also ( along a small continuation of Baynards Lane beside our orchard) where I used to play with some kids that lived there. Wonderful uncomplicated times. Mal.